Our trip to Bar Harbor took a little longer than expected. We were told the original L.L. Bean store was right on our route in Freeport, ME. Bob decided that this was an opportunity that could not be passed up. We spent about three hours wandering through a great outdoor shopping experience. After a night in the Walmart near Palmyra, ME we arrived at Bar Harbor on Tuesday. One of the first things we had to do was get Bob’s bike fixed. He had taken a spill while we were at Cape Cod and bent the rear wheel. The day was pretty wet and overcast, so Bob got some work done and we made plans for the next day. Wednesday turned out to be a beautiful day, warm and sunny! 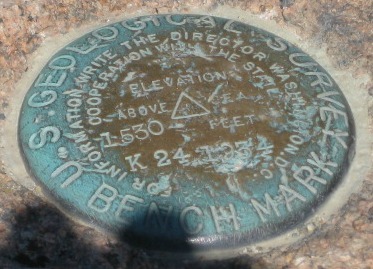 We drove to Cadillac Mountain, which is the highest point on the Eastern seaboard at 1,530 feet, and named after the same Cadillac that founded Detroit. The sights were out of this world, it seemed like we could see forever. We didn’t waste the good weather. 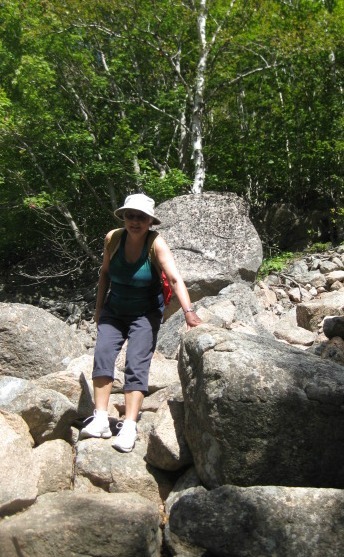 We headed to a place called South Bubble Rock and hiked around it, stopping for lunch on the shore of Jordon Pond. The first leg of the hike was pretty challenging as it was downhill on a slope that looked like a rockpile and we descended about 600 feet in a third of a mile (By the way, this is a good definition of “steep”). 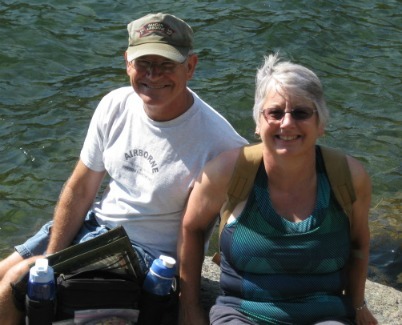 We still had plenty of time left and decided to drive to the Visitor’s Center and ride our bikes on the Carriage Roads around Eagle Lake, a ride of about 13 miles. By the way, if you click on a picture you will see it in full size. 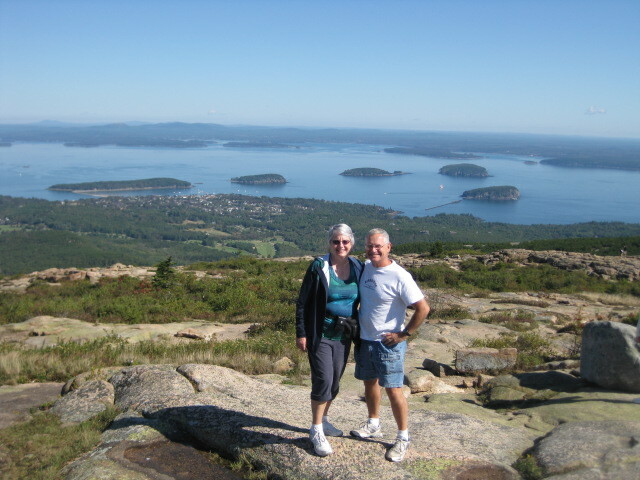 This entry was posted in Fulltime RV, Maine, Michigan Traveler and tagged Acadia National Park, Bar Harbor, Bubble Rock, Cadillac Mountain, Cape Cod, cycling, full-time RV, fulltime RV, L.L. Bean, RV Forums, Walmart. Bookmark the permalink.